We've reached peak Internet of Things. It's no secret that not every Kickstarter or Indiegogo project becomes a reality. Often times, these ideas get crowdfunded but never turn into an actual product, but that wasn't the case for the Moodo smart air freshener. 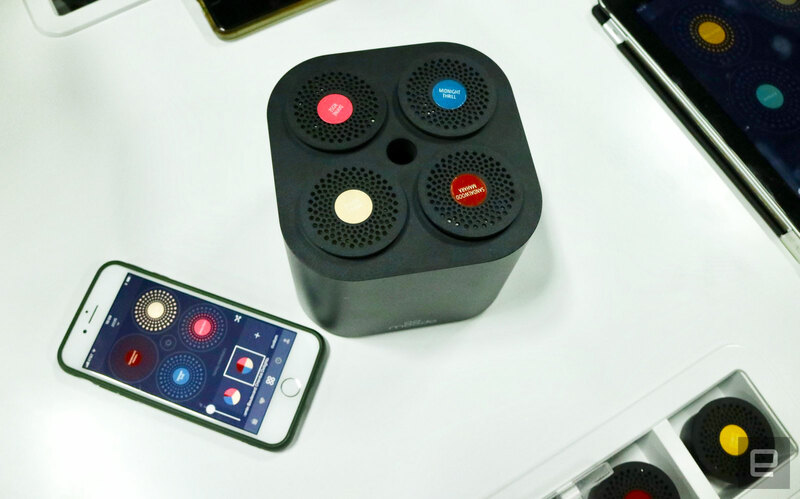 The project was funded on Indiegogo last year, and now Moodo is showing it off at CES 2018. It works exactly as advertised, letting you use your smartphone or tablet to select and activate different scents in your home, such as Orange Sunrise, Precious Spices, Grandma Vanilla and Midnight Trill. The Moodo box consists of four scented capsules, which you can mix and preset them to turn on via the companion app. If you're someone who likes to have scented candles in your home, this could be the perfect device for you. It's available now for $189 with 12 scented capsules, and each pack of four after that will cost you $29. Yes, using your phone to make your house smell good is kind of pricey.